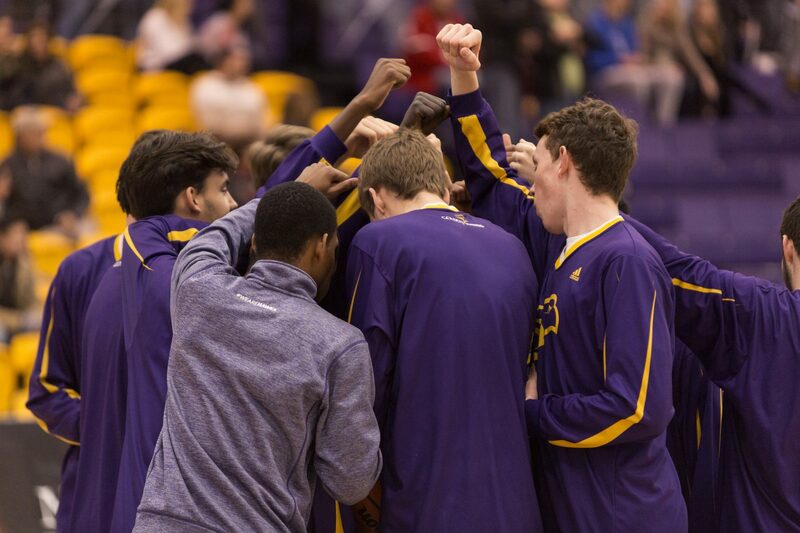 The Laurier men’s basketball team escaped a tight game with a narrow 67-66 win over the Windsor Lancers on Saturday. After a double overtime win against Western on Wednesday, everyone was expecting the Hawks to be fatigued heading into this game. However, they did not look tired at all. It was a barn burner right until the end, as Laurier had the ball with a 1-point lead in the final few seconds. A crucial turnover almost cost Laurier the game, but they were able to hold on. The Lancers’ attempt at a game- winning shot was no good and on this day, the Hawks proved to be the better team. Head coach Justin Serresse admitted that the Hawks were fortunate down the stretch. He spoke about his team’s resilient effort after the game. Although Serresse criticized his ability to create inbound plays, he deserves a lot of credit for the Hawks’ success this season. The Hawks were down by double digits in the first half. However, after a few timeouts, Serresse was able to motivate his team to fight back, as the Hawks cut the deficit to five heading into halftime. Serresse, however, took minimal credit for his team’s comeback. “It was just the guys not giving up. Timeout is just a timeout. The guys just did their job. They listen. They follow the game plan. The defence was fine. It’s nothing technical. It was just a few minor details. After that, it was just run. Run and trust your offence”. The Hawks got a phenomenal performance from starting guard Tevaun Kokko. He shot five three-pointers on his way to a 22-point performance. Kokko hit a number of clutch shots and it seemed as if whenever the Hawks needed a bucket, they ran their offence through the Markham native. However, The Hawks’ defence was the biggest reason behind their victory, as they held the Lancers to 39 per cent shooting from the field and just 21 per cent from three point range. The play of first-year guard, Shamar Burrows, was also a bright spot for the Hawks. He only managed to score six points, but he grabbed ten rebounds and played outstanding defence throughout the game. The Hawks’ record improved to 4-3 and now sit atop the OUA West division. The Hawks are looking better and better after each game. This is to be expected, as the players have been developing a better relationship with their coach, Justin Serresse. The next challenge for the Hawks is Laurentian University, as the Hawks host the Voyageurs next Friday at the Athletics complex. Tip-off is set for 8:00 p.m.